Clinton-Massie begins its quest for another state championship at 7 p.m. Saturday at Frank M. Irelan Field in the opening round of the OHSAA Div. IV playoffs against Springfield Shawnee. 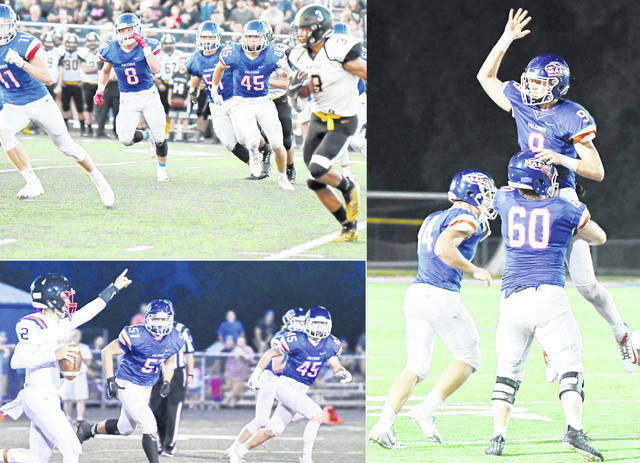 In the photos, clockwise from top left, Tate Olberding (11), Brice Seaman (8), Spencer Branham (51), Brock Speaks (45), Colton Doyle (44), Thomas Myers (9), Seth Stiverson (60), Brock Speaks (45) and Spencer Branham (51).